Last night Mr. Red and I attended another Vintage Got Soul event. 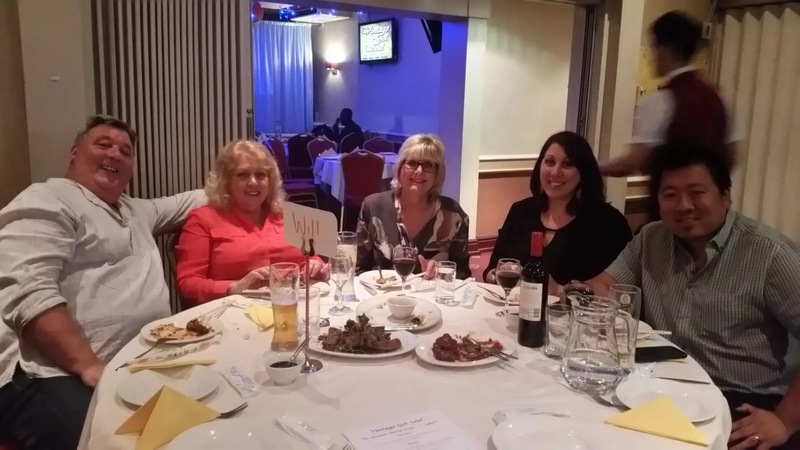 This time held at Chung Ying Garden at 17 Thorp Street Birmingham, right in the heart of China town and just five minutes walk from New street station. What is a Vintage Got Soul event I hear you ask. 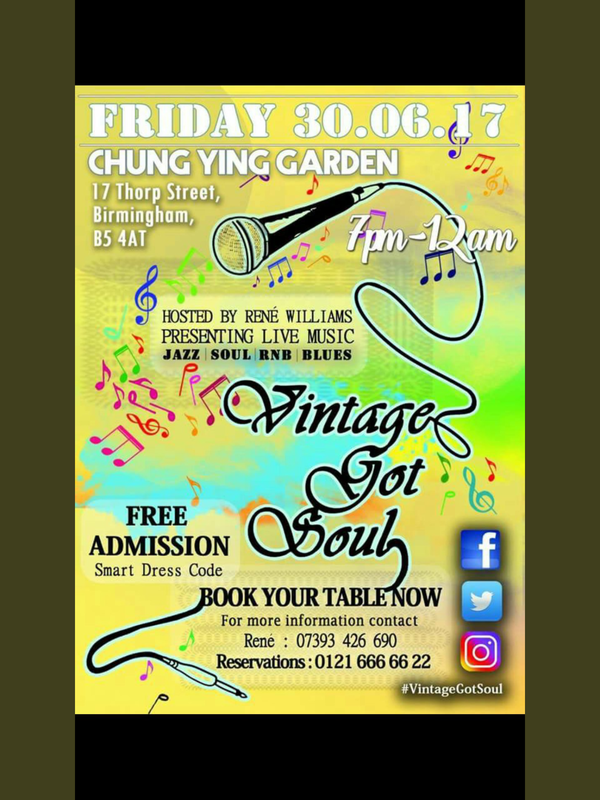 Vintage Got Soul is an evening of free, live music from local talents, and it is very much worth visiting. When Mr. Red and I arrived we were seated in the ground floor restaurant to start our evening with a scrumptious dinner. What we didn’t realise at this point was we could have eaten upstairs, but in hindsight the food selection was much better downstairs, as upstairs was a set menu and in the main restaurant we had the choice of the whole menu. We plumped for a selection of dim sum to share as our starters. 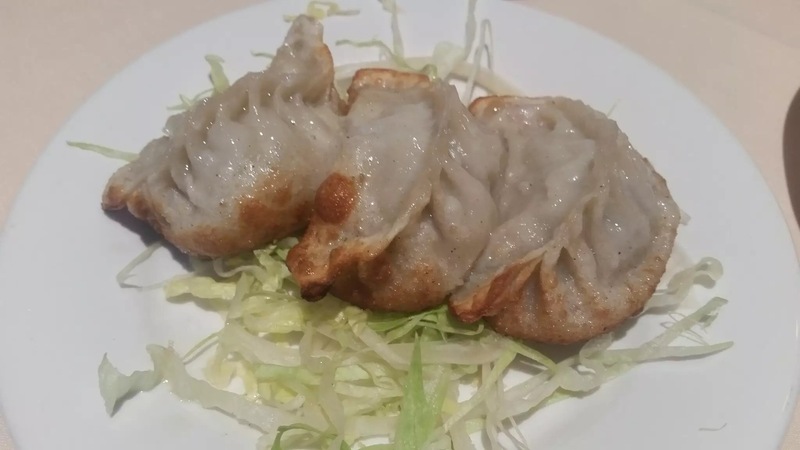 This was a mistake as our mains were absolutely huge, probably enough for two people with each main, but our dim sum were so delicious I’m really pleased we had them. We chose a deep fried prawn dim sum, a steamed peanut based dim sum (amazing) and a pan fried potsticker style pork dim sum. They were all absolutely delicious and a great choice of starters. We then ordered two main dishes, as I said the main courses are plenty big enough to feed two hungry people. 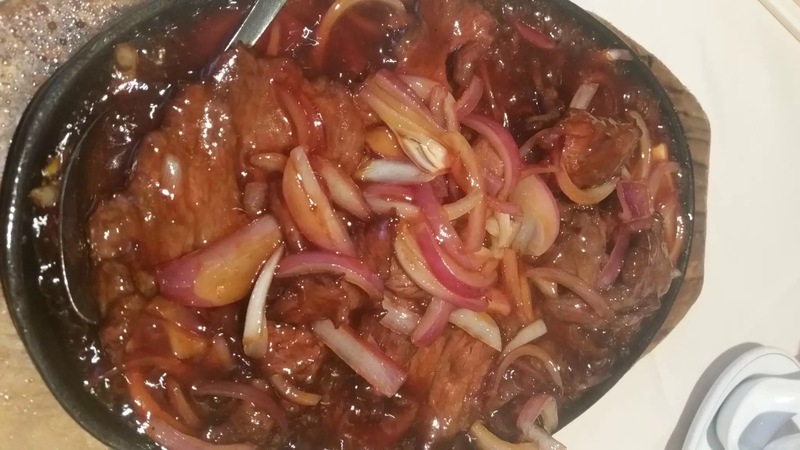 Mr. Red chose a sizzling skillet of fillet beef which was served in a sweet yet sharp sauce and arrived bubbling hot. The beef was mouth meltingly tender and the sauce was perfectly piquant. Sadly my photo really doesn’t do this lovely dish true justice. For my main I wanted the halibut, but unfortunately for me there was no halibut available when we visited, but never fear, I did have a second choice, as I had been torn between two meals. So my pork belly casserole was duly ordered, and boy what a success that was. Again another huge portion which would easily feed two or even three people. I’m not normally a big fan of pork belly, but when it is cooked well, and the Chinese definitely know how to cook pork belly well, it is a delicious, sweet and flavoursome meat. Again my photo really can not do true justice to this fabulous dish. The meat was falling apart tender, the broth was jam packed full of flavour and it was beautifully seasoned with lovely Chinese spices. I do try to order something different each time I dine out, but this pork casserole was so nice I’d certainly have this again in the near future. 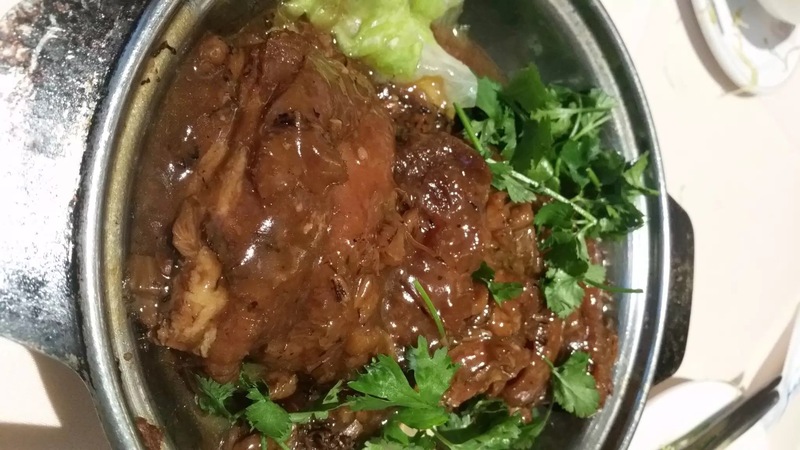 We really enjoyed our meal and Chung Ying Garden is a lovely place to dine out. On the Friday evening we were there it was vibrant enough without being head spinningly crazy busy. 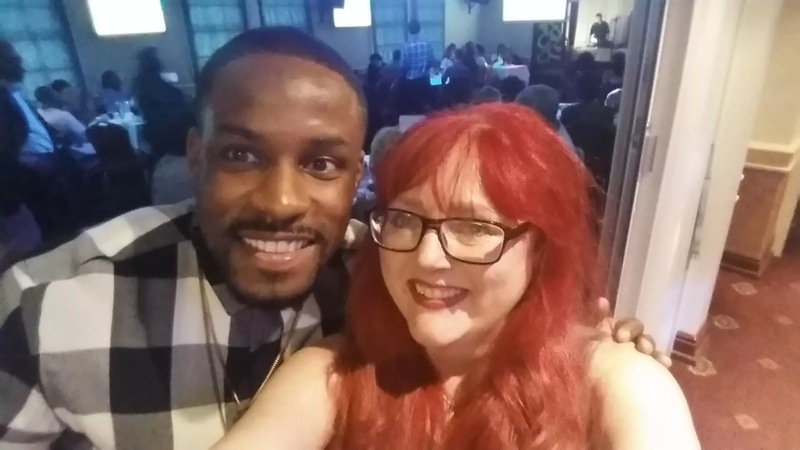 We then headed upstairs to the function room that was hosting Vintage Got Soul to be greeted by host and organiser René who welcomed me with a big hug and showed Mr. Red and I to our table. We only knew one person at our table, the delightful Will, but we were made to feel very welcome and had we arrived at our table a littler earlier we could have chatted a bit more, but almost as soon as we were seated the music began and it was pretty difficult (as well as being a bit disrespectful) to talk once the music had started. The first act was Peter Lewis who played a jazz saxophone and he was great. There is something very evocative about the sound of a good saxophone and Peter Lewis is certainly better than good. He was a fantastic start to the night. We then had a video link from LA to introduce the next act, it was from somebody who was introduced as Eddie the actor and it was a fun little twist on events. Second up was a spoken word artist, See Dee Situation. His spoken word style was very much like listening to a rap artist without music and he performed work he had written himself. Soul singer Salika followed and her amazing voice entertained us as she sang Don’t Give A Damn. Then a young lady who sang with an Ella Fitzgerald style of voice and really did blow me away. Pam who is only 18 and has a phenomenal talent sang the Etta James classic At Last, and I Know He Watches Me. I could have listened to her and Peter the saxophonist all night. Next up was ElSam and he sang some of his own work, and he looked as good as he sounded. Jainen (I’m not sure I spelled that correct) wowed us with her rendition of the Amy Winehouse/Zutons song Valerie, and the evening finished for us with a gospel singer Gabby who sang Gotta Have You, Smile and All I Have To Give. I think the event carried on long after we left as we departed around 11pm and the evening was due to go on until midnight. All in all it was a great evening, Mr. Red and I had a lovely night, our meal was superb, the entertainment was really good. If you’re a fan of R & B, blues, soul and jazz then the next Vintage Got Soul is 21st July and the music event is entirely free of charge. Obviously if you want to eat, and I would highly recommend the food at any of the Chung Ying dynasty of restaurants then you pay for your food, but if you only want to enjoy the music you’re under no obligation to buy a meal. You can find Vintage Got Soul on Facebook, twitter and instagram and all the details of up coming nights will be detailed on any of their social media should you wish to attend the next night. This is not a sponsored post, Mr. Red and I bought our own meal, which was enough to feed four people, two very large main dishes, a side of Singapore noodles, three dim sum starters, two glasses of wine and two soft drinks came in at £65. Upstairs I enjoyed a couple of G&T’s Mr. Red had a coke and we both enjoyed the live music. This was not my first time of attending VGS and we shall definitely be going to another Vintage Got Soul night sometime in the future. 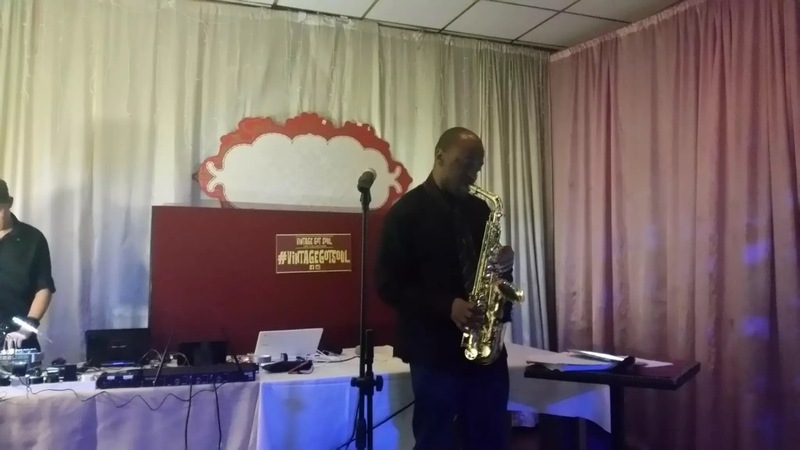 Thank you to René and Chung Ying Garden for a wonderful night of great food and live music. Mr. Red and I enjoyed a great date night.